Every time you turn on a light, take a hot shower, or drive a car, do you ever stop and think about where that energy comes from? It’s easy to take for granted the source of our electricity and fuel that make simple activities in our daily lives possible. But from the moment we wake up until we go to bed, we are living in a world that is powered by oil and natural gas. 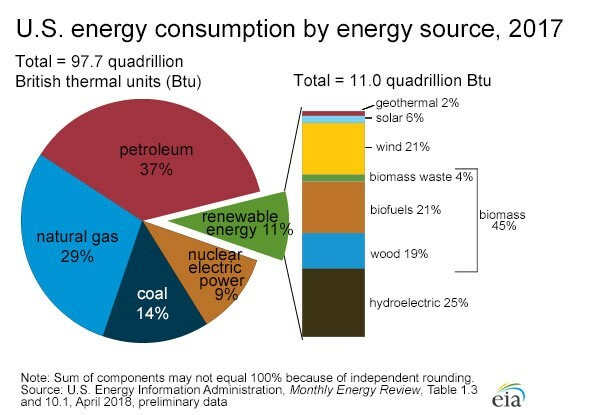 According to the U.S. Energy Information Administration (EIA), petroleum and natural gas make up 66 percent of total U.S. energy consumption. AXPC member companies are helping to meet this energy demand by developing and producing U.S. oil and natural gas resources here at home. Transportation makes up about 29 percent of total U.S. energy consumption and petroleum provides over 92 percent of the total energy used in transportation. Fuels such as gasoline, jet fuel, and diesel have allowed for the movement of people and goods across the country. We depend on gasoline to drive our cars to work, take the kids to school, and run errands. Jet fuel allows us to take airplanes to get to vacation destinations, business meetings, or family reunions. Diesel enables semi-trucks to deliver products, such as fruit and vegetables, to stores throughout the country. In 2017, fossil fuels (natural gas, petroleum and coal) accounted for 62.9 percent of total U.S. electricity generation. Of these, natural gas was the largest contributor, providing 32 percent of our electricity. Natural gas is used in homes throughout the country, but use is highest in the states of Texas, California, Florida, Pennsylvania, and Louisiana. Thanks to natural gas families are able to heat their homes, use hot water, dry their clothes, and cook on the stove. Natural gas is also helping Americans save money on their monthly energy bills. A study by Harvard University researchers found that low natural gas prices saved the average American household $800 in 2014. Those savings are predicted to increase to $1,070 per household by 2030. These are just a few of the many ways that oil and natural gas touch our everyday lives. Oil and natural gas are not only an essential part of our 21st century economy but are crucial in helping to keep energy prices affordable for American families and businesses.